The following is a guest blog-post in the form of a written interview by Arshad Kamal, a male cupping therapist from Lahore, Pakistan. My name is Arshad Kamal & I live in Lahore, I am running my forefather’s plastic industry business since 1970. My father and my brother were both diagnosed with cancer & they had gone through the painful procedures provided by modern conventional medicine, and at that time, I also tried very hard for some alternative treatments but unfortunately, by the time I became aware of Hijama therapy, it was too late & both of them passed away. In 2007, my wife was suffering from upper back pain, but she was not willing to get treatment by any unknown person. All of a sudden & by Allah’s Will, I found reference of Mr. Hasan Shami & I learnt Hijamah from him & started treatment of my wife. After few sessions, she got cured Alhamdolillah. I decided to start Hijamah at my house & I received many patients from my neighborhood that had different problems, & all of them improved. – What particular illnesses/ conditions (if any), do you specialize / had the most experience in? Sciatica, Diabetes, Blood pressure, Cardiac Disease , Arthritis, Hepatitis, Uric Acid, Dengue Fever, Constipation, infertility, sexual disease in men, and general treatment. I have had good response for all of the above mentioned diseases. One of my patients had a motorcycle accident and he suffered with blunt trauma & head injuries, due to which his eyes had the reflection of blood clots and he felt severe headache and blurred vision, his face was swollen. I cupped him on points 34, 35, 105, 104, 101, 108, 109, Akhdain (43, 44) & Kahil (1, 55). After Hijamah, swelling on his face reduced by 80% & he felt a drastic reduction in headache, the results of Hijamah were unbelievable both for me & him. Dengue fever is widespread in Pakistan currently, & we have treated patients with Hijamah & Tibb-e-Nabwi medicine (major ingredients as Qust al Bahri, Frankincense, Myrrh, Aloe Vera, Mugwort, Olive leaf & Thyme), the results were beyond our expectations & platelets count jumped over 150,000 ~ 230,000. We need to spread the divine medicine as our people are suffering, the expensive conventional medicine (platelet kit) is very expensive in Pakistan (40,000/- Pak Rupees), it is already short & beyond the reach of poor. Depends on the illness and condition of the patient, but it is better to have Hijamah after every 2-3 months. I take Hijamah whenever I feel necessary, usually within 30-60 days, it is far better to take out the septic blood quickly, instead of waiting for 3-6 months, & when you drain regularly; its quantity is reduced at every next session. And because Shifa of Hijamah is in the incisions, it is a pleasure to seek this Shifa as soon as possible. My Hijamah is performed by my wife. After having consultation from Mr. Hasan Shami, I am doing Hijama with assistance of my collegues, Sheikh Saeed Ahmad, Sheikh Usman, Muhammad Farhan, Rehan Mian. For women, we have never touched a female & their Hijamah is done by my wife (Mrs. Shabana Arshad Kamal), & my daughter Bint-e-Arshad Kamal. – What is the overall prevalence of hijama therapy in Lahore, Pakistan? Is it available in hospitals and clinics as a valid alternative / Sunnah therapy? It is not very common in Pakistan, Hijamah therapists manage it at their houses, but as far as I know, there is a hospital in Sukkur which is owned by Dr. Khursheed, he has trained some of his doctors / lady doctors & has opened a special ward for Hijamah therapy where around 50 patients take Hijamah daily, Zoja Roshan Sahib is doing Hijamah in Faisalabad, Mr. Shakir Nagda in Karachi, Mr. Usman Baloch in Lahore and few other therapists in Karachi. I was recently called by a hospital owner in Mirpur city (Azad Kashmir), where I performed Hijamah in their operation theatre & all the doctors observed the blessed therapy, they were so happy & willing to learn it further & to start Hijamah at their own. – Where abouts is your clinic or practice located and what services do you offer? We are offering Hijama therapy combined with Tibb-e-Nabwi (Prophetic Medicine) and food. We have also developed molds for Hijamah cups & very soon, we shall be presenting a complete Hijamah kit that will be “Made in Pakistan”. Tibb-e-Nabwi (Prophetic Medicine) is not the Hijamah alone, it is the combination of healing the heart & body with correct Yaqeen & A’amal-e-Salehaat, foods & herbs recommended by Prophet Muhammad Salallaho alaihe Wasallam & finally Hijamah, put them all together & have the cure for any kind of disease. you have any questions for him, or if you have a patient of his and want to leave him a testimonial, then please leave a comment* below. To all the Brothers and Sisters who are NOT Medical Doctors, yet they feel free to practice Hijama. There has been many incidents in several countries, where people just based on a simple course for Hijama Techniques started to practice Hijama on other Muslim Brothers and Sisters, and in certain cases, many people fainted, collapsed, got badly infected, bled almost to death, and that is all due to the fact that Hijama is a medical procedure, and hence has to be performed ONLY by a Medical Doctor and no one else, and by the grace and blessings of ALLAH ( swt ), nowadays there are many Muslim and non-Muslim Doctors around the world who perform Hijama. There is an Authentic Hadith that our beloved Prophet Mohammad (Pbuh ), had said that anyone who undertakes a job or a certain work while he lacks the skill thereof, then he is responsible and accountable before ALLAH ( swt ) for the consequences.More than one Prominent Muslim Scholar have explained this Hadith by clearly saying that only a Medical Doctor is authorized to do Hijama and any one who is not a Dcotor who undertakes that role, will be accountable before ALLAH swt and will have to answer for that at the day of Judgement. In my country i have many cases where Hijama did not nearly achieve the results it should, simply because it was not performed by a doctor, in my case, and because i was determined to find a doctor, then when i had it done for my chronic sinusitis by a medical doctor, my sinus infection totally disappeared by the grace of ALLAH ( swt ). Thanks for the points you have discussed, YES, a perfect knowledge & experience of Hijamah is necessary for a Hajjaam. But to be an authorized medical doctor is not compulsory, Hijamah of Prophet Muhammad Sallallaho Alaihe Wasallam (as indicated by Hadith) was performed by the slaves of Sahabah, & do you feel that a slave can be a medical doctor, in the times of our Prophet, a famous person named Haris Bin Kaldah was a medical doctor by profession, & as we can understand, his earnings never allowed someone to purchase him as a slave. وفى ‏(‏جامع الترمذىّ‏)‏ عن عبَّاد بن منصور، قال‏:‏ سمِعتُ عِكْرمَةَ يقولُ‏:‏ ‏(‏كانَ لابن عباسٍ غِلمةٌ ثلاثةٌ حَجَّامُون، فكانَ اثنَانِ يُغلانِ عليه، وَعَلَى اهلِهِ، وواحدٌ لحجمِهِ، وحجمِ اهلِهِ‏.‏ قال‏:‏ وقال ابنُ عباسٍ‏:‏ قال نبىُّ الله صلى الله عليه وسلم‏:‏ ‏‏نِعْمَ العبدُ الحَجَّامُ يَذْهَبُ بالدَّمِ، وَيُخِفُّ الصُّلْبَ، ويَجْلُو البَصَرَ‏. In Tirmizi, it is narrated by Abbaad Bin Mansoor that he said: I heard Ikramah saying that Abdullah Ibn Abbas Radi Allaho Anh had three slaves who were Hajjaam (a person who performs cupping), two of them used to work for him & his family (probably at his garden & to carry the grains & load to his house) & one of those slaves performed cupping. Abdullah Ibn Abbas Radi Allaho Anh reported that Prophet Muhammad Sallallaho Alaihe Wasallam said : "The best of your slaves is the one who performs cupping, Hijamah takes out the blood, & removes the pain from the back & enhances the vision". In another narration narrated by Musa bin Uqbah, “The Messenger of Allah used cupping on his back because of what he ate of the poisoned sheep. Abu Hind, a slave for Bani Bayadhah, used a knife to cup him. Three years later, when the Prophet was suffering from the illness that he died from, he said: "I still feel the effects of the poisoned sheep I ate from during the Day of Khyber until now, when it is the time the aorta is cut off (meaning when death is near)’. Therefore the Messenger of Allah died as a martyr. Apart from KAHIL (points 1 & 55), Prophet Muhammad Sallallaho Alaihe Wasallam had Hijamah on his foot when he felt pain, it explains that Hijamah can be done at the areas where a patient feels pain & problem. I have also heard about some people who were cupped at 20-22 points all together in a single session, it is totally regrettable. Why you have not raised the issue of some Hijamah therapists, who touch women & perform their cupping without hesitation ? My request to all medical doctors, whom you know that they are Hijamah therapists as well, why they do not compile some research papers on Hijamah's healing, they are in touch with labs & clinical investigations as an evidence is a piece of cake for them, why the efforts have not been made in this regard? Evil spells of Jinn, Sehr, etc. are crushed by Hijamah & I am not sure if all medical doctors will agree with this reality. Another issue is that Tibb-e-Nabwi's healing is not achieved by Hijamah alone, you have to combine it with Tibb-e-Nabwi foods & herbs, if you got healed after Hijamah, your ailment will come back sooner or later if you are ignoring Tibb-e-Nabwi foods & herbs, and Allah Knows the best. Thanks for the points you have discussed. YES, a perfect knowledge & experience of Hijamah is necessary for a Hajjaam. ASSALAM U ALIKUM. Hope you will be fine. I have learned a lot of about alhijamah in AHADEES and other books, and m gona quite impressed. Respected sir as by profession i am not a doctor but i want to do some thing for the sake of mankind especially for poor people who does not afford doctors fees and costly medicines. My father was died because of GASTROENTEROLOGY (GE) junction cancer, as there is almost no perfect treatment of cancer in Pakistan, if available than much more costly and expensive an ordinary people cannot afford it. I want to do it for the sake of humanity, for sake of precious human lives. Give me some advice from where i can training of Al-Hijama. 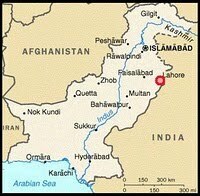 Is there any Center in Rawalpindi, Islamabad or Abbottabad regions.